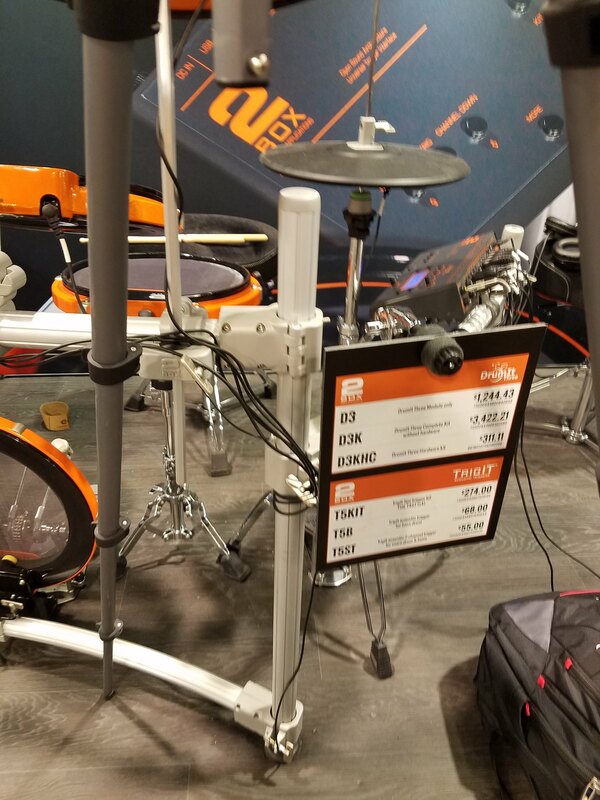 Just seen some videos of a new drumit5 module. Looks like it's got a card reader this time! No doubt it's got the new universal triggering, anyone know of any other changes? Het Steve . i am searcbing for that video. Do you have a link or something to access it? That's pretty much it. And it will ship with the 32GB ATP card. No USB connection. You will use the SDHC card in a card reader on the computer like those of us are already doing who have done the external slot with larger card. Not knowing anything regarding the deliveries...but many of the parts for the DI5 MK2 are the same as in DI3...so I would estimate faster shipment dates than compared to the Three launch. They are in a better position this time for the launch. Does anyone know if the number of outputs are different than the 3 ? It looks like it will follow the same as the previous drumit5, so it will have a total of 8 when including the headphone out as 7+8. It says the MK is about $200 higher priced than the Three and it is in production where the shipping starts in April. Yes, and it also mentions some new sounds - hope they make those available to the older modules as well...…. I noticed that there is no USB port on the back of the module anymore. Probably this is due to card reader on extender and higher capacity 32GB card. Or is this only for this prototype and will be back for real module later on? Curious if by some chance, our current Drumit 5 modules might accept the software that drives the new DI MK2 so I don't have to sell the two modules I currently perform with to get all the benefits of the new MK 2 version?